Do-Si-Dos is a new strain that was created by crossing NorcalICMag’s verified OGKB Cookies with a male Face Off OG BX1. 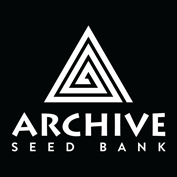 Archive Seeds is the licensed producer of all NorcalICMag’s verified OGKB Cookies hybrid strains so growers beware of imitations and knock-offs. Seedsman awaits further details of this exciting new strain.